Just add your passwords then let the advanced password manager autofill the login when you scan your fingerprint. You can even access logins stored in the Fingerprint Keyboard extension in other apps. Save each username & password inside the app, then use the PassKey Private Browser or Fingerprint Keyboard to access your saved Logins. PRIVATE DATA & PASSWORDS ARE ENCRYPTED FOR YOUR PROTECTION - "Full Access: ON" is required to enable TouchID or Face ID, but we NEVER view or access your private information & never share with 3rd parties. Over 10 million users trust PassKey with their login credentials & private data and we have taken many steps to ensure your privacy & protection - Thanks for using PassKey. 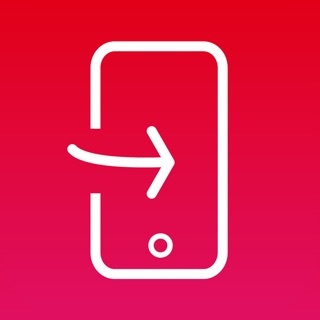 Browse the web anonymously or quickly scan your finger to access Logins that are saved in the app. 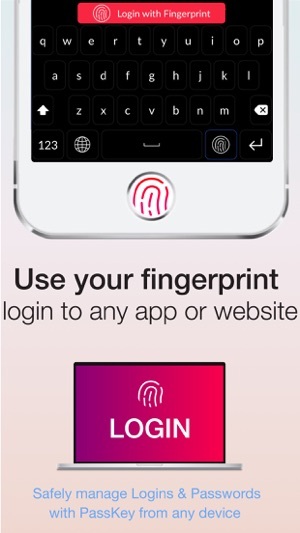 Access stored Logins in other apps with the Fingerprint Keyboard extension. 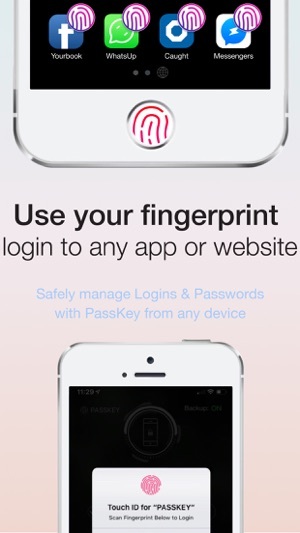 Login on other devices by using PassKey as a fingerprint scanner & advanced password safe -- Face or Touch ID requires iOS8.0 or later -- please update for the best experience, otherwise Master PIN is used when Face/Touch ID is unavailable. Your privacy is our #1 priority. 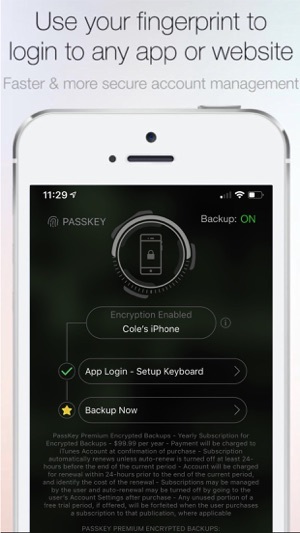 Users can upgrade at anytime to PassKey Premium to backup their passwords & private data to the secure encrypted PassKey servers from any device in the event that your device is lost or stolen. Yearly Subscriptions come with 30 day free trials - try the app for FREE & cancel anytime. Yearly Subscription automatically renews unless auto-renew is turned off at least 24-hours before the end of the current period. Account will be charged for renewal within 24-hours prior to the end of the current period. Subscriptions may be managed by the user and auto-renewal may be turned off by going to the user’s Account Settings after purchase. Any unused portion of a free trial period, if offered, will be forfeited when the user purchases a subscription. 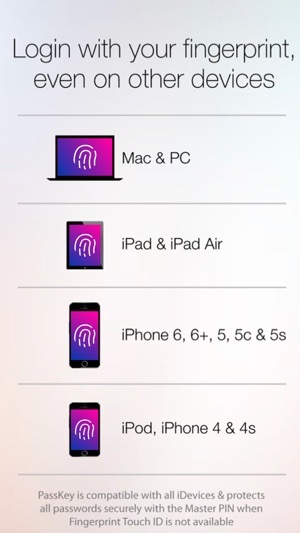 PassKey is required on each iDevice to link them & enable fingerprint login. To link your computer, the PassKey Chrome Extension is required to login with your fingerprint (available for free on Mac & PC). Face ID and Touch ID are trademarks of Apple, Inc and is not associated with PassKey or DoubleVision. To anyone struggling to cancel subscription what you need to do is go into App Store click on the apple ID or the blue circle at the top right corner and then click on manage subscriptions and then you’ll be able to cancel it. This is is completely rubbish and a scam it has been billing me for months now and I didn’t not even give them permission to bill me. This app is utter rubbish . Once you download it you’re forced to make a payment you know nothing about because it’s so freaking difficult to find the unsubscribe button . Not sure user friendly at all , the trail doesn’t even matter . A total disappointment and a scam!